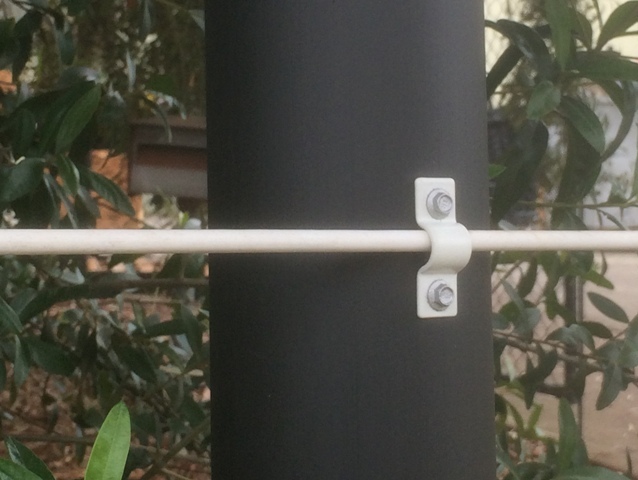 Our slim line white brackets are easily fitted to the sides of your interim posts. 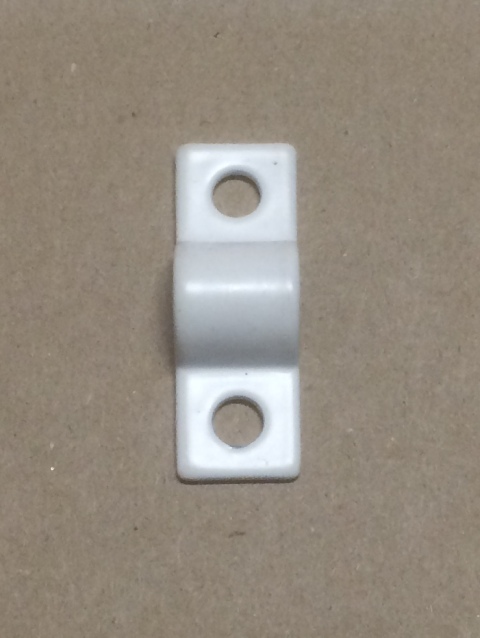 Similar to our brackets for our 120mm rail, they are easily fitted with two hex head screws. There similar appearance to the 120mm brackets benefits the appearance of composite fences featuring the premium BounceBack 120mm rail and our plastic coated wire. Properly treated for corrosion resistance and powder coated to match the plastic coated wire these brackets will look good for a long time. They allow for lateral movement of the plastic coated wire which provides for give when impact occurs. 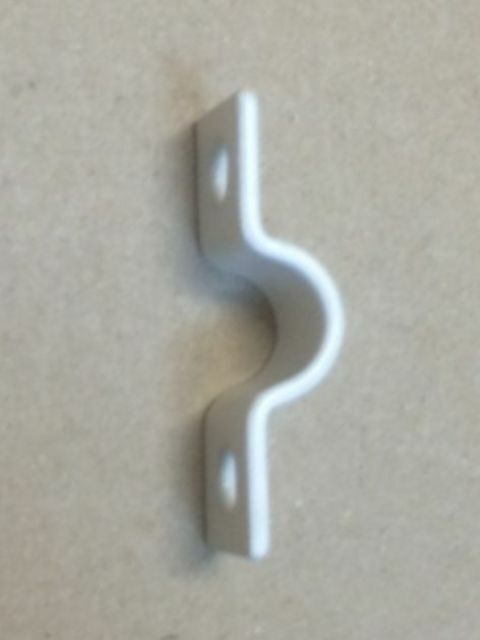 These brackets are made to compliment our white plastic coated fence wire. Timber or Plastic Posts – screws. Alternatively plastic coated wire can be fitted by drilling a hole through the centre of the interim posts. 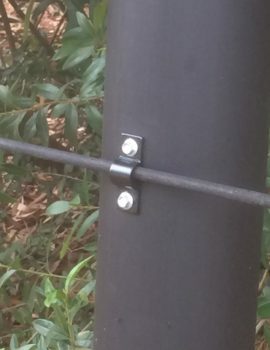 However these brackets provide for the rail to be attached to the side of the post. 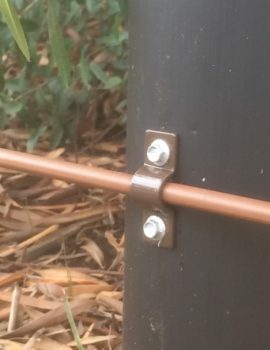 This provides a matching finish to our 120mm rail and will help prevent horse contact with posts. The careful use of a large staple might also provide an alternative, however be careful with edges of staples when straining to avoid damage to the wire. 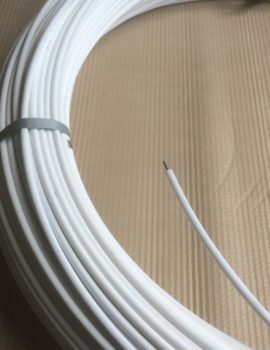 For instructions on how to install this item, and other components please see How to install plastic coated wire fencing. 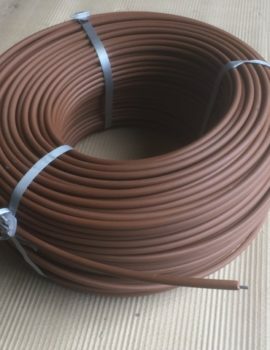 Category: Plastic Coated Horse Fencing Wire.